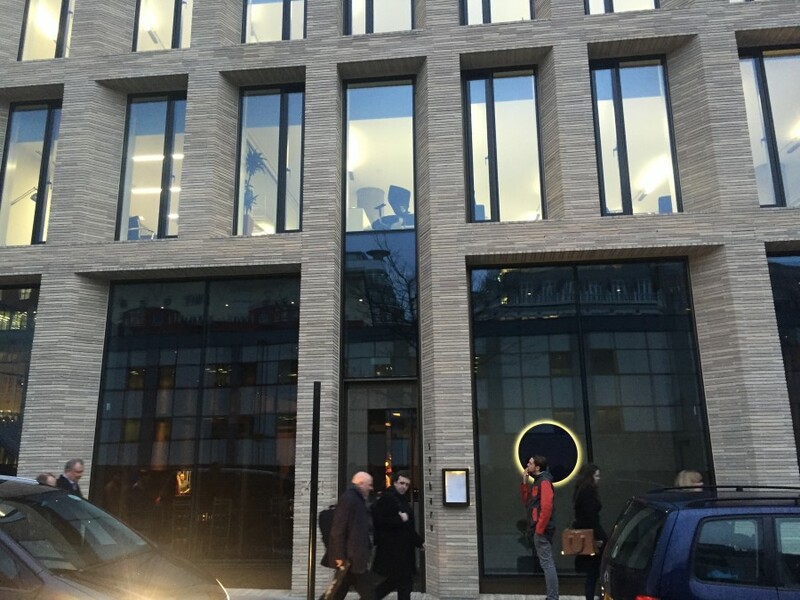 Jason Atherton has got himself a nice little collection of restaurants now (still not sure about Social Wine and Tapas though). 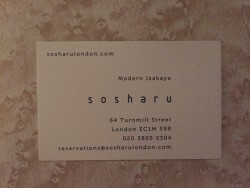 Sosharu, in the old Turnmills building near Farringdon station, is his latest and it’s rather lovely. 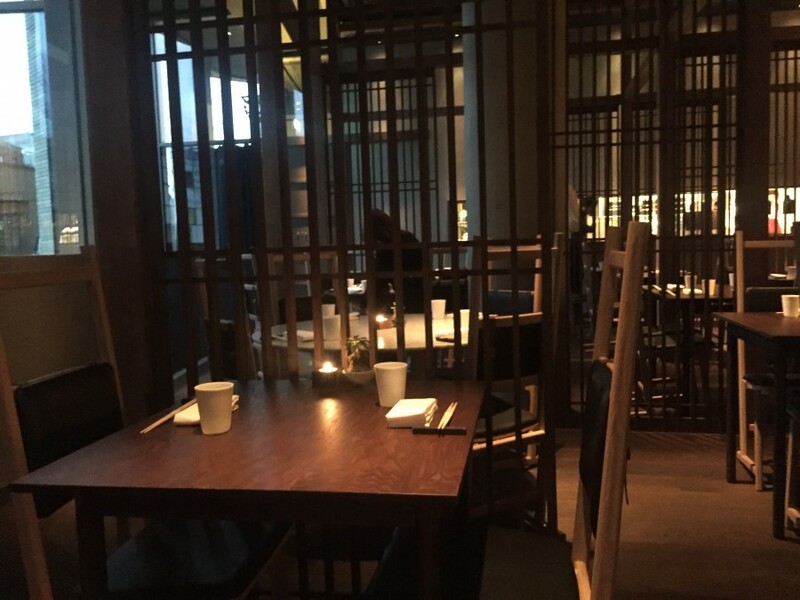 Described as an “izakaya-style restaurant”, it has the feeling of Hakkasan; there’s lot’s of wooden partition walls everywhere, dark lighting and clubby music. There’s a long bar, no shortage of staff and a kitchen you can see into. There’s a feeling of money about the place (the loos are those Japanese ones where the toilet seat lifts up automatically) yet it doesn’t feel pretentious. We started with toro tartare open temaki (£7.50 per piece) which was battered nori sandwiching rice and chunks of raw tuna. 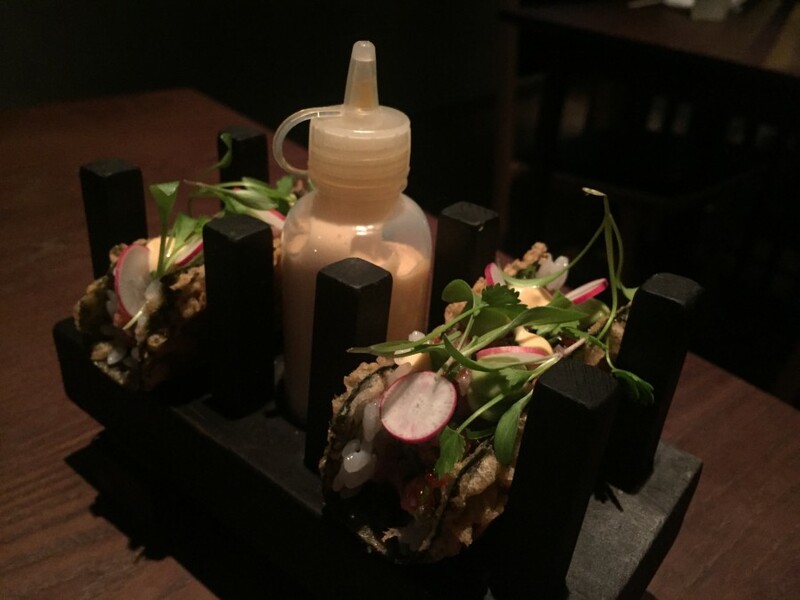 A little bottle of spicy mayo accompanied. Flavours and textures aplenty, it’s easy to see this becoming their signature dish. 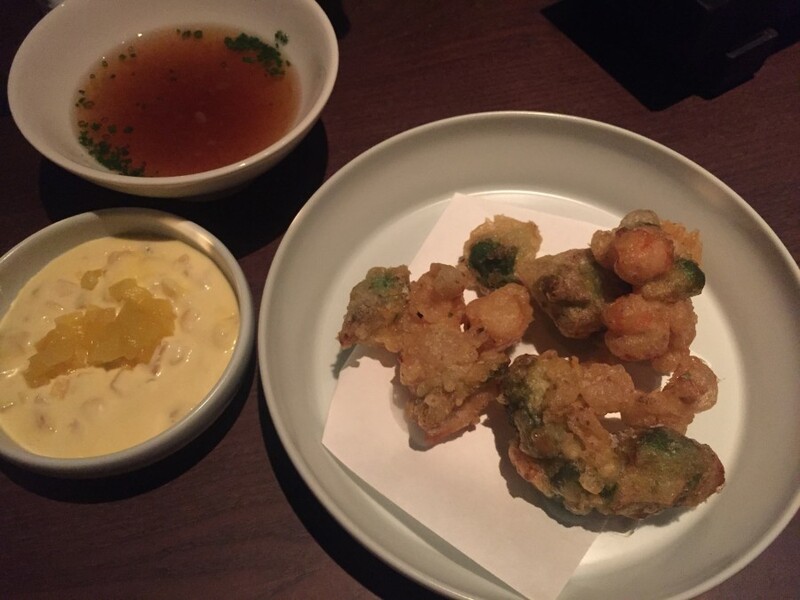 Prawn and avocado tempura (£14) was nicer than it sounded. I remember having deep fried avocado at Jamie’s Diner once and it has haunted me ever since. Here, the batter was light and crisp and grease free meaning it was most enjoyable. The prawns were of great quality too. 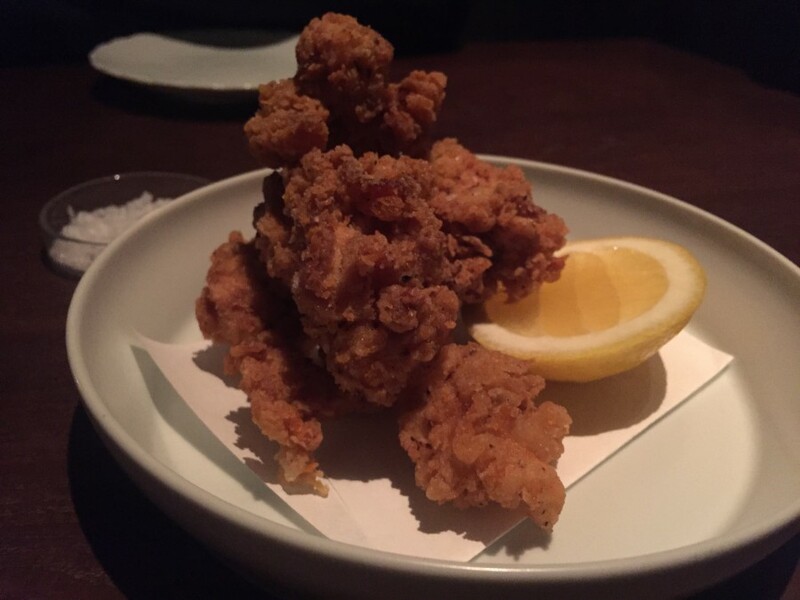 Chicken karaage (£6.50), something I’ve been addicted too thanks to Tonkotsu, came with a mound of salt for those, like me, looking for a real hit to the heart. Again, grease free, crisp and totally moreish; if you can fry chicken this well, you deserve a medal. Stuffed chicken wings (£6.50) removed all the faff of extracting the flesh from the bone – totally delicious little things. Skewered squares of chicken skin came with a vibrant egg yolk for dunking (£10) – chicken skin is another obsession of mine. 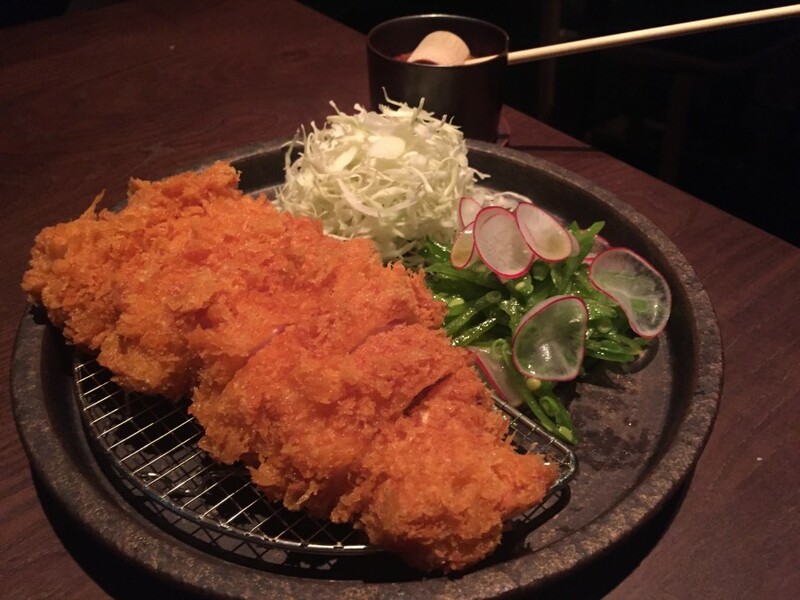 Tonkatsu crumbed pork (£18) was a big portion and although the accompanying tomato sauce was pleasant, because of the richness of it all, I would have preferred a spicier accompaniment. 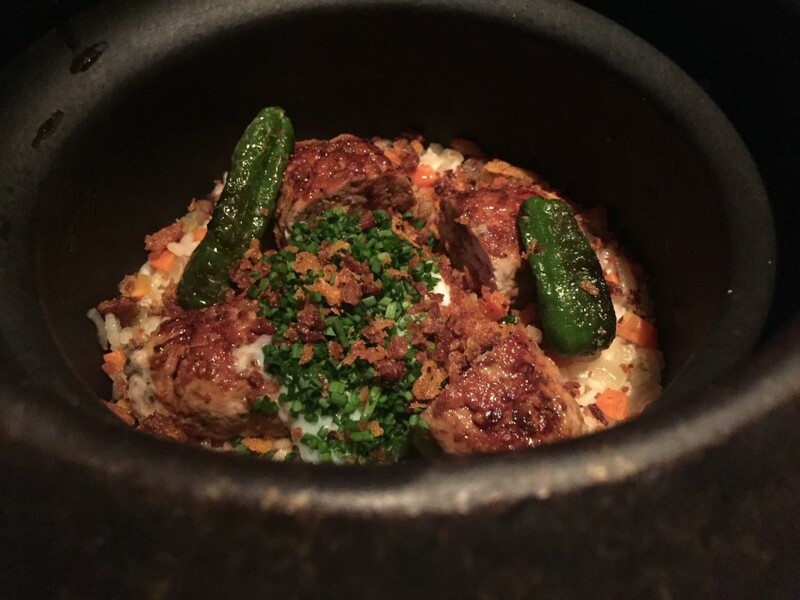 Less successful was the chicken yakitori rice pot (£18). Whereas with a Bibimbap (I know it’s Korean not Japanese) the hot stone bowl allows the rice to get crispy, this pot retained its ploppiness. It was all so rich and salty and some of the rice was overcooked and some undercooked. 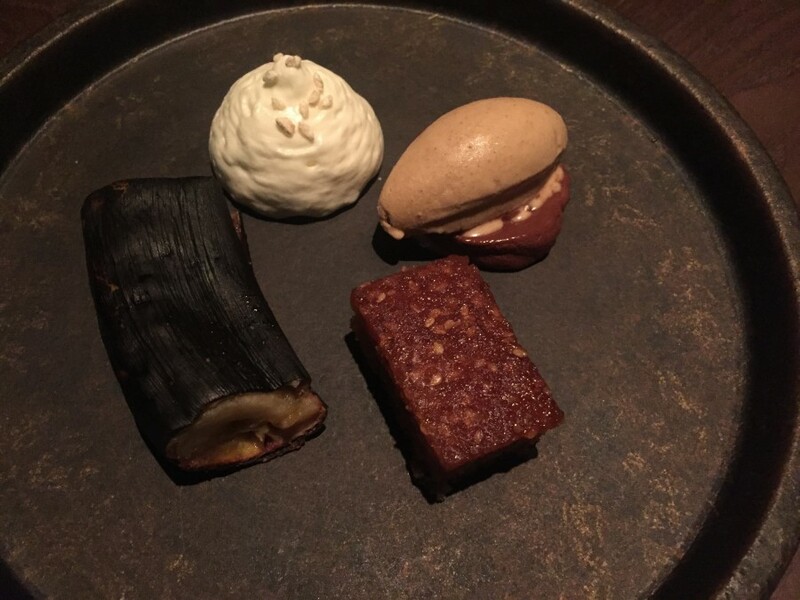 For dessert, we shared white sesame with chocolate and miso caramel (£8.50), a blend of grilled banana, sticky sponge, mousse and caramel which was sweet and quite simply, heavenly. 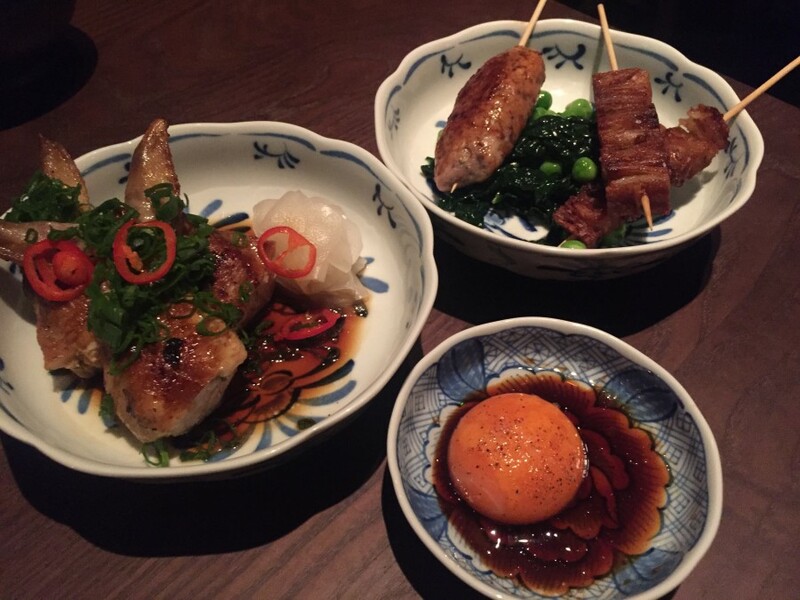 Overall, we fell a little bit in love with Sosharu. Service was sweet and charming, from the bottom to the top, the food exciting and the room beautiful. Although early days, the place feels like it’s been open for ages; clearly Jason, who was in and wandering about, knows exactly what he’s doing.